Garage’s are notorious for a few things. One of them is collecting junk. If you have a nice big garage that has someone turned into your own glorified storage unit over the years, don’t sweat it. You are not alone. This is extremely common. It’s just human nature to habitually fill empty space we have in our homes with stuff, stuff and more stuff. There does come a time in every homeowners journey though, were they just flat out get sick and tired of it. They get fed up with the unwanted items cluttering up their home. So when that time comes, what are they to do? 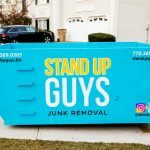 When the time comes that you are ready to get rid of the junk and debris cluttering up your garage, you have a few options. Let’s skip all the lame options though, and cut straight to the meat and potatoes. The option that everyone wants to hear. The best one! 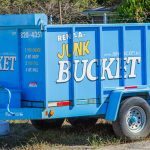 The best option for people looking to clear out the junk in their garage is the Junk Bucket Dumpster! Yup, it’s that simple. 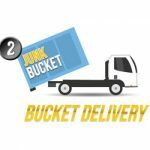 The Junk Bucket Dumpster is perfect for every junk issue in your home, but we specialize in garage junk. Why? Because that’s what everyone has and what we all need! 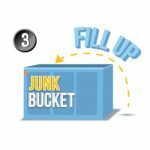 You can fill your own personal Junk Bucket Dumpster with any and all junk from your garage. You can throw away old bikes, boxes, files, furniture, car part and whatever else is stacking up there. 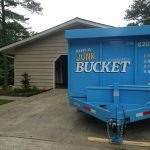 Renting and using a Junk Bucket Dumpster for your garage clean-out needs is as easy as can be too! 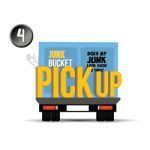 All you have to do is give us a call and let us know what time you would like your Junk Bucket Dumpster delivered and we’ll ensure that it is there at that time. 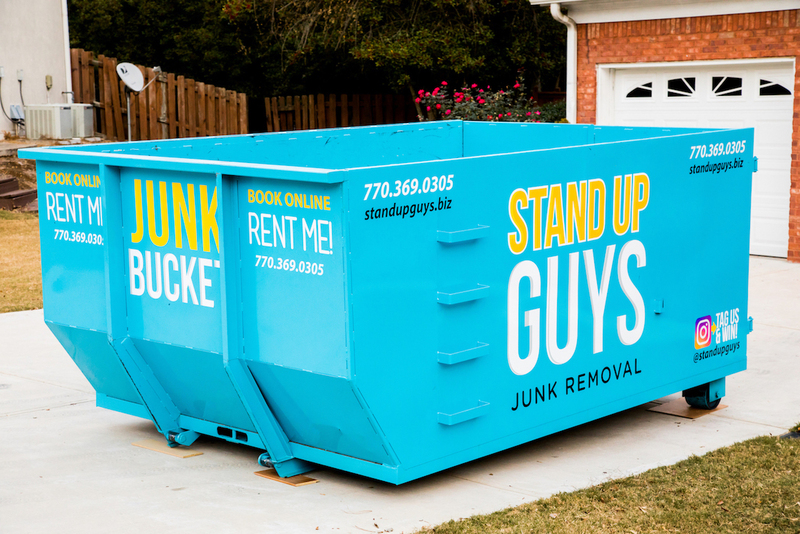 Once that beautiful baby blue dumpster is out in front of your garage, then the rest is up to you. You are in control. You can then fill up your own Junk Bucket at YOUR pace and get rid of what YOU want. We give you the power! 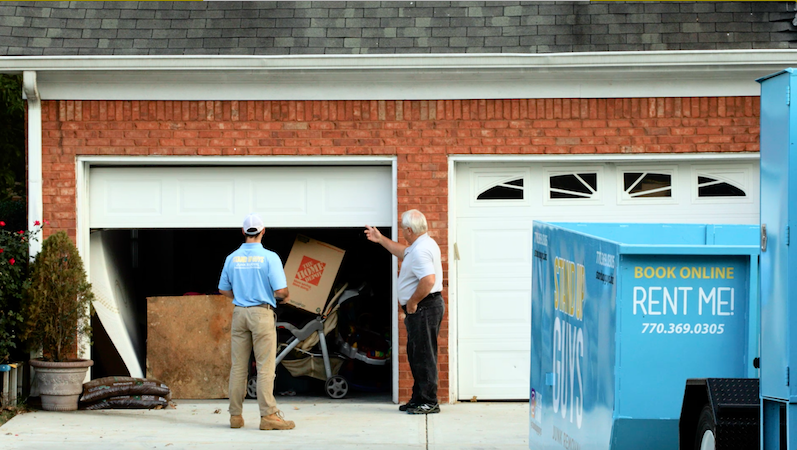 Once you take your time, huff and puff, and get rid of all the junk and clutter in your garage. You can shut the garage door and/or pull the car in finally and call it a day. Your job is done. 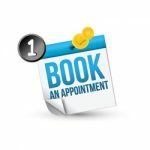 All you have to do is let us know and we take care of the rest. Our uniformed employees will be out right away and pick up your filled Junk Bucket. We will then take it away and dispose of all the junk in a timely and environmentally safe way. See, easy as pie.